AMSOIL - Synthetic oil products and services. Comprehensive site for Amsoil synthetic oil and lubricants. Sign-up for your "Retail" or "Commercial" account. Access to Amsoil product specification data sheets. Free catalog available. Dealer inquiries welcome. Mr Truck "Everything you wanted to know about trucks but didn't know who to ask and trust." If you are like most people planning on buying a pickup truck or SUV, you're wondering exactly what truck you really need. Don't depend on the salesperson to know the answer. AutoMERICA is a user-based site that offers free tools, services and information to anyone who cares for a car. Whether it's an emotional attachment, or just your basic transportation, AutoMERICA will help you care for your car, offer you a place to show it off, give you a forum to spread the word about your car club and locate help with auto-related issues like repair, sales or insurance. 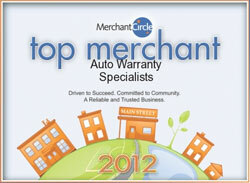 AutoMERICA is your local online automotive resource. CycleTrades-Motorcycle classifieds, parts and accessories for all motorcycles. one of the largest selection of Motorcycle Street Bike, Sport Bike, Off Road, Motocross and Quad Parts and Accessories. Accessories at AutoAnything.com Our custom truck accessories from Extang, K&N, Waag, Flowmaster, Husky Liner and more are designed to provide protection, comfort, safety and enhanced performance. Car Covers at CarCoverWarehouse.com Shop Online for Car Cover, Truck Cover and SUV Covers FREE SHIPPING by Covercraft including Weathershield, Noah, Evolution, Dustop, Tan Flannel and more! Tonneau Covers at TonneauCoverWarehouse.com Shop Online for Truck Tonneau Covers by Extang, Pace Edwards, Access, Truxedo, Gaylords and more!